Prodger: AWS specializes in Web application and custom software development. 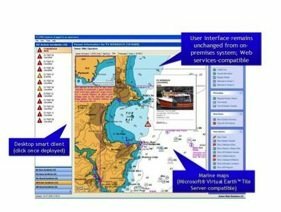 In 2006, the Royal National Lifeboat Institution contracted AWS to build an automated alerting system for fishing vessels in the United Kingdom. We developed a location-based service infrastructure, code-named GeoPoint, that transmits position data to a centralized tracking and alerting system. We then used GeoPoint to build MOB Guardian, a search-and-rescue application for fishing vessels (MOB stands for “man overboard”). Prodger: By using the Windows Azure platform, we’ve been able to transform the original fishing vessel-focused MOB Guardian application into a broader geolocation services platform that has more extensive capabilities and can be marketed to many more customers. There are also new market opportunities for GeoPoint where pleasure sailors might access GeoPoint from Facebook, for example, to see a map of where they’ve been or to log their trip once they get home. With AppFabric Access Control, we wouldn’t have to force users to create another set of authentication credentials; they could use their Facebook credentials as their GeoPoint ID. Prodger: The ability to scale up without capital expenditures is key. To scale, we simply provision more computing capacity and add more message queues from the Windows Azure platform Web portal. With AppFabric Service Bus, we can manage requests and message volumes globally with massive scale. We’re also able to avoid additional IT staffing costs because Microsoft handles all operating system updates and upgrades, which occur without downtime. In addition, we slashed development time and costs-Windows Azure saved us three to six months of development effort.